The First New England Conference on cannabis as medicine is taking place on September 15, 16 and 17 at Vermont College of Fine Arts in Montpelier, Vermont. 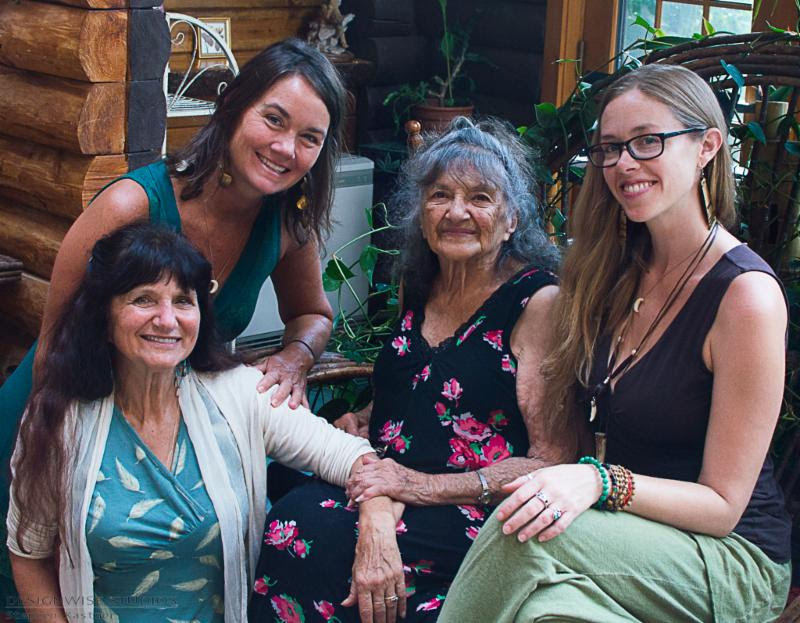 Jane Bothwell is a California-based community herbalist who has trained and inspired generations of students to explore and practice the ancient craft of herbalism at her Dandelion Herbal Center in Humboldt County, California. Recognizing the legitimate re-birthing of medical cannabis in her home state, Jane envisioned a conference that would bring together renowned educators and healthcare practitioners to share their knowledge of cannabis as medicine. There were already many events focusing on cannabis, but none truly focused on the plant's diversity of cannabis as medicine. In 2015, she and Kevin Spelman, organized the first annual Medicinal Cannabis Conference in Arcata, California. Rosemary Gladstar, "The Godmother of American Herbalism" has written more than a dozen best-selling herbal books, taught generations of herbalists, started non-profits, two herb stores and a school, and founded United Plant Savers -she's a medicine woman in the truly ancient sense. Her Sage Mountain Retreat Center & Native Plant Preserve in East Barre is one of New England's foremost learning centers for herbs and earth awareness, founded almost three decades ago. After three successful California conferences, Jane Bothwell and her friend and colleague Rosemary Gladstar are now teaming up to bring cannabis awareness to the East Coast with a conference on The Healing Power of Cannabis at the Vermont College of Fine Arts in Montpelier on September 15, 16 and 17. Over 25 workshops will be provided with several post conference intensives held on Monday. Notable experts on the Medicinal Uses, Preparation & Organic Cultivation of cannabis are coming to Vermont from across the Nation including Donald Abrams, MD; Ethan Russo, MD; Eleanor Kuntz Ph.D.; Kevin Spelman, Ph.D.; Dustin Sulak, MD; Jody Noe, MS, ND; Rochelle Baca, Herbalist; Tammi Sweet, MS, LMT; and more may be found at the dedicated website, MedicinalCannabisConference.com. Keynote speaker, Dr. Donald Abrams, a contributing member of The National Academies of Sciences, Engineering and Medicine, will share insights into the work of his committee in drafting the 2017 report on The Health Effects of Cannabis and Cannabinoids: The Current State of Evidence and Recommendations for Research. Dr. Abrams will review the major findings emanating from the report and the committee's recommendations regarding how to best proceed with a national agenda to better facilitate medicinal cannabis research. The second keynote speaker wrapping up the first day of the conference is Vermont's Lieutenant Governor David Zuckerman speaking on The History and Future of Cannabis Reform. Day two's keynote speaker, Will Rap, founder of Gardner's Supply & Intervale Center will close Sunday's sessions with a discussion of "What Profitable Plants Can Do for Vermont Agriculture: A Vision for Vermont as a Botanical Center for Excellence." On Monday, September 17, there are five intensives offered. Each intensive will be four hours long and will provide participants with an opportunity to delve into subjects including cannabis preparation, treatment and a field trip to a farm for an in-depth overview of cannabis cultivation, harvesting and drying. Don't miss this unique learning experience! It is the goal of this timely and important conference to aid health care providers, medical professionals, herbalists, growers, and the public in making responsible, effective and educated decisions regarding the medicinal application of Cannabis. The Conference will focus primarily on medicinal applications, organic cultivation and the preparation of high quality medicinal Cannabis products. You can find out more and register to attend at: MedicinalCannabisConference.com.